It is also important for you to remember that since the sets are unordered so all the items in a set will appear in a random fashion. It is a widely known fact amongst the individuals who are familiar with this programming language that once you create any particular set then you cannot change any of the items that are present in that particular set. However, you can choose to add new items in any particular set by using the python set union method. While using this programming language, if you have created any particular set and you wish to know the specific length or the number of items that are present in that particular set then it is advised that you should use the len () method. The python set example for this is mentioned below. It is also important for you to remember that if you remove any particular item that does not exist in the list by using the remove () method then that will display an error. In the case of the discard () method, if you try to remove an item that is not present in the list already then that will not raise any particular error. If you wish to remove the last item that is present in the set that you have created then it is advised that you should use the pop () method. However, by using this method you wouldn’t know which particular item gets removed as sets are unordered and any time can be displayed at the end. The python set example for this is mentioned below. If you wish to empty the set entirely of all the items then you should use the clean () method in that particular case. As a developer who is using this programming language, it is also important for you to remember that to construct a particular set in Python you would be required to use the set ( ) constructor. 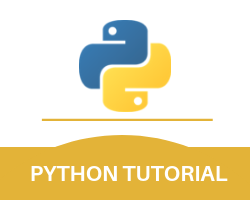 With this, we finish our Python set Operations module of this entire Python Tutorial.